The motors on the car can perform a variety of functions. They trigger the windshield wipers and the window, push the sunroof, allow you to operate the locks with the Central management. If the motor has stopped working, then perhaps the reason lies in the violation of the integrity of its windings. To check the windings, there are special techniques and devices. With the help of megger check the insulation resistance of the motor winding between the housing and the phases. To do this, first remove the jumpers on the terminal block of the motor (they can be made of the type "star" or "triangle"). Check the terminal block, closing it on the body and between the mounting bolts of the connection pins. The slip ring motor will carry out a visual check insulation of brush holders and slip rings. The motors with rated voltage of 127V at least check the insulation, designed for 500V. If the nominal voltage is higher, will require megger at 1000V. If the results of the test winding relative to the housing and between phases measurement results differ significantly, the engine should be repaired or replaced. Most likely, it runs on two phases. Should be considered faulty motor, if the winding insulation resistance less than 1mω. To check for interturn short circuits use special equipment as a conventional ohmmeter, even digital, will show the difference between the windings only when a clear and already visible to the eye of a short circuit in the coils. To measure the winding with a low resistance to pass through it a steady current from the battery. By adjusting a rheostat set the current of 0.5-3.0 A. After installation, current to the end of the measurements do not change the position of the rheostat. Now measure the voltage drop and current, and then calculate the resistance of the winding according to the formula R = U/I (where R is the resistance, U – voltage and I – current). The resistance of the winding shall not differ by more than 3%. This method is suitable and to check the commutator motor. In some cases, determine that a three-phase motor operates on two phases, it is possible by visual inspection. The symptom is the darkening of the "frontal" part of only those coils that have voltage. 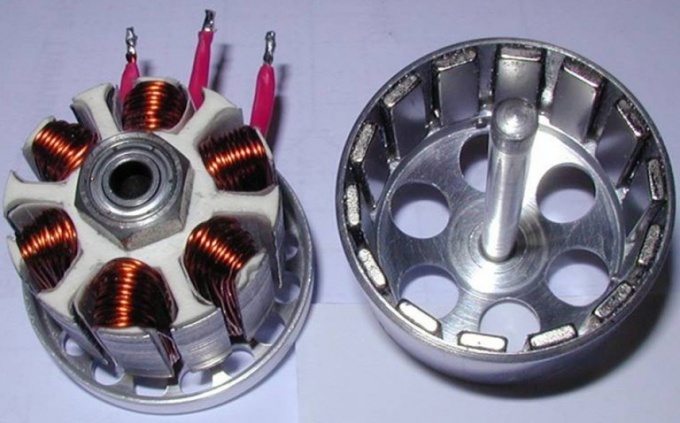 "Repair of electric motors. The benefit to the electrician," N. To. Mandych, 1989. "Electric motor repair", S. A. Mandrykin, 1983.